4. 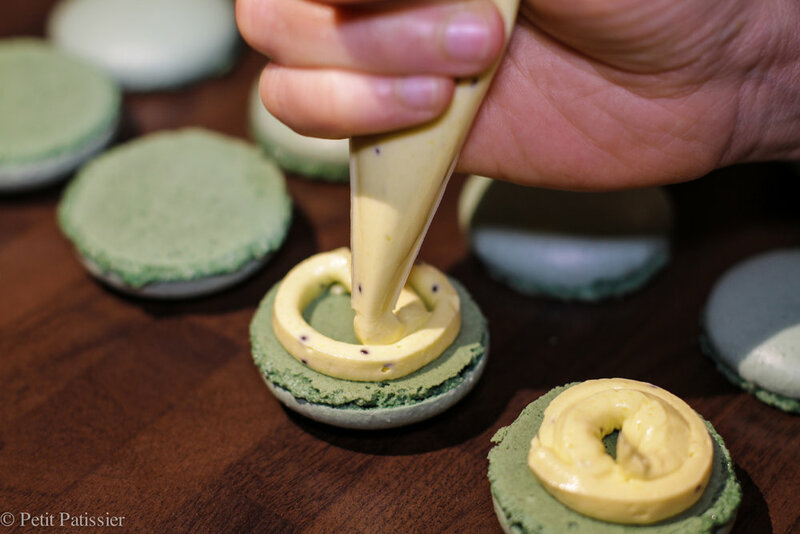 Add cooled kiwi cream to the butter and beat till all incorporates into a smooth mixture. 1. 100g of lime juice, zest and sugar bring to boil. Add agar-agar powder and whisk. Cook for about 2-3 minutes on low heat and continue whisking. 2. Pour mixture on the tray and put it into the fridge till set. 3. When mixture is set, remove it from the tray and puree in the blender till smooth consistence. 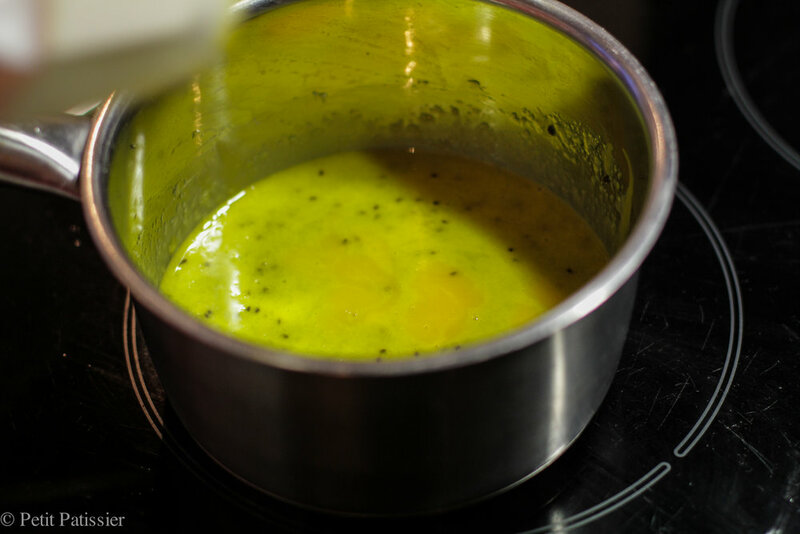 (If mixture is to thick and hard to puree, add a little bit of lime juice). 4. Strain gel through the sieve and put into the piping bag. 2. 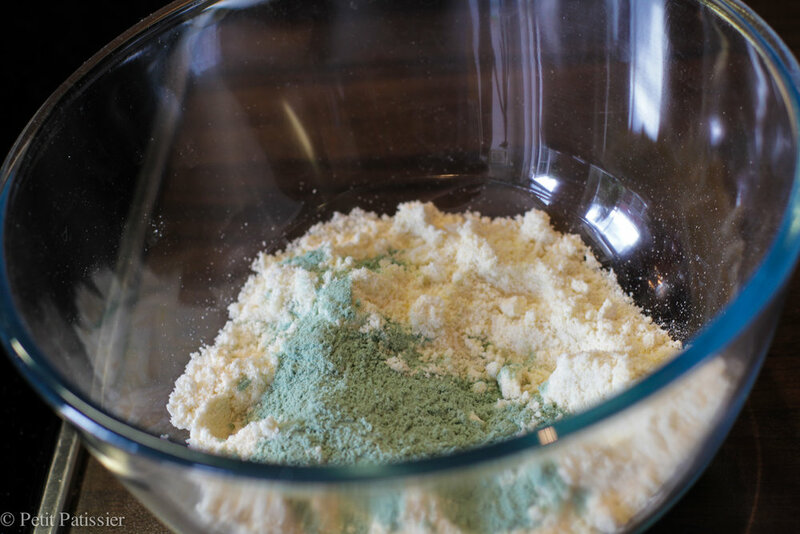 For almond paste: sift together ground almond and powdered sugar, add food colouring powder and mix. Add egg whites to dry ingredients and mix. 8. 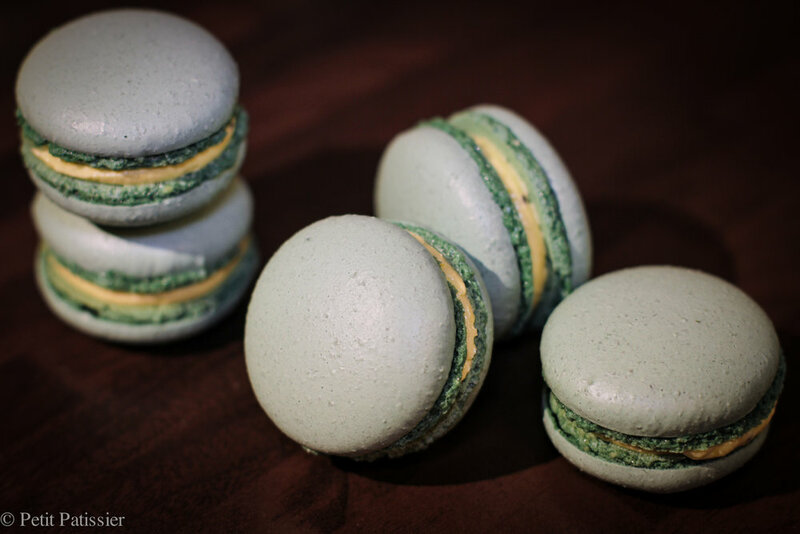 When shells cooled completely, remove them from the mat and sandwich macarons with kiwi cream and lime gel.